I don’t find an alternative title. Like anyone out there, I envy Textmate features where it is present in all the screencasts for PHP & RoR out there. So, I started looking for a Textmate alternate on windows, and came to this post Textmate envy. 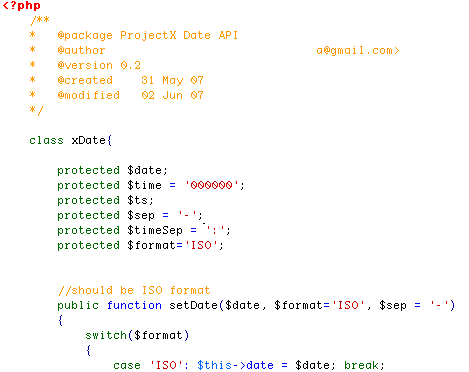 I tried the font Monaco (Textmate’s default), which looked beautiful in Firebug but not in Dreamweaver. Filled with dissapointment, I google again for a download for the font Monaco, then, eureka! I found this link, Programmers font. Which means, I am not alone, there are more people out there looking for the suitable replacement to Courier New (isn’t it time to change?). I have tried a few Monaca, Dejavu, Bitstream Vera. Finally, I come to the conclusion that Anonymous font certainly isn’t anonymous any more. It looks better than Monaca in windows, look at my screenshot. Today I hardly wrote any code, and spent more time on looking at my dreamweaver, its awesome! !.